As our entire world is becoming more visual, lots of bridal couples like yourselves are spending more and more thought on how to design and style their wedding. Although I am no longer offering any separate services through The Wedding Boutique, I would still love to help you through my collaboration with the designers of Maakt. Maakt offers custom decorations for creative businesses, stylish interiors, and intimate weddings - all with a minimalist touch and lots of emphasis on the experience you would like to share with your clients or loved ones. Together, we are offering wedding design and styling services for the intimate - slightly boho - and not your everyday wedding. and we would love to help you create an amazingly warm and personal experience for your wedding guests. Love to find out more? Get in touch. 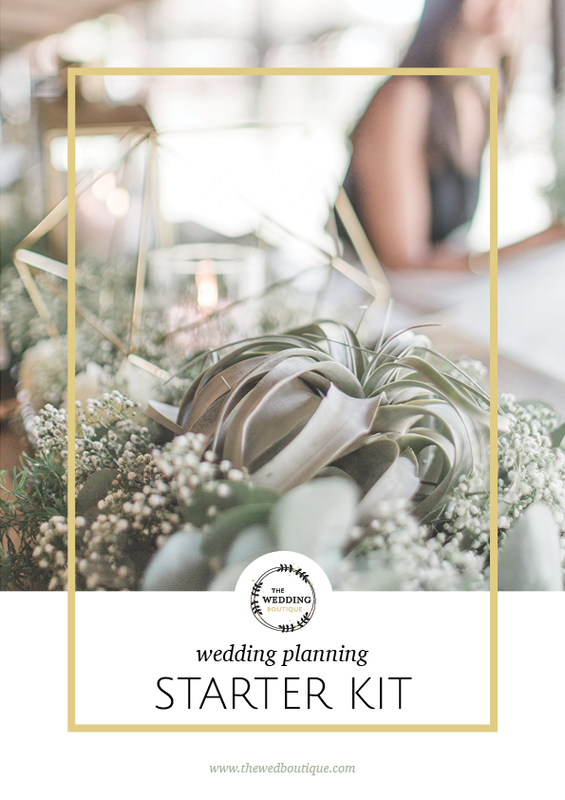 In the past 10 years of being slightly obsessed with all things weddings, I gathered all the information that I struggled to find myself when I first started out, and I decided to bundle my findings in a handy wedding planning guide, specifically designed to help you through the first few weeks of planning your wedding. This Starter Kit is a result of 10 years of research, 3 years of working with bridal couples, and a lot of trial-and-error, struggle, tears, and euphoria. I hope you like it! !